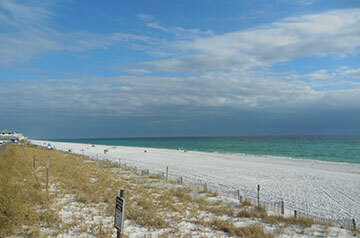 Come explore Inlet Beach, one of South Walton’s most untouched beach neighborhoods. Here, it’s easy to spend a day daydreaming by the beach or strolling along the sand. Laid-back and carefree, the Inlet Beach community welcomes all. Cozy beach cottages mixed with modern homes in this old-meets-new beach neighborhood as sweeping sand dunes shape the landscape in a memorable way. Inlet Beach hosts many restaurants that are loved by locals — stop by for a casual drink or dinner and feel right at home.